What happens when you leave a bunch of acrobats alone in an empty room? They make their own playground. After their show on Thursday, Jan. 3 in the Leslie C. Quick, Jr. Recreation Complex, entitled “A Simple Space,” the acrobatic group Gravity & Other Myths left audience members questioning gravity. Describing their style in the show notes as “a terrifying and liberating way to perform,” the show “A Simple Space” aims to break down barriers between performers and the audience. The group formed in 2013, and since then, Gravity & Other Myths has put on hundreds of shows and claims that “the games are still growing.” In plain t-shirts and shorts instead of elaborate costumes and a playful constitution on stage, members of Gravity & Other Myths constantly remind the audience that humans — real humans rather than distant circus performers who hold their composure behind their layers of makeup — are capable of incredible things. 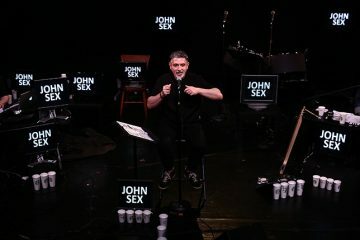 The performance began with a chaotic sequence to music in which performers would yell, “Falling!” and proceed to fall before other members were there to catch them. The stakes were raised when they began falling from steeper heights: another performer’s shoulders, for example. They were, miraculously, always caught by their castmates. With an almost childlike, “look what I can do!” attitude, Gravity & Other Myths delivers amazing feats with smiles and nerves written on their faces. The performers aren’t afraid to show when a trick is difficult, nor do they hold back when interacting with each other and releasing (probably exaggerated) sighs of relief after finishing a dangerous trick. From the show notes of the program, the group communicates, “If you watch closely you will find an honest sort of narrative in our grunts, trembles, failures and accomplishments”. But you also witness the glee, the invigorated smiles whenever performers triumph, which contributes to the overall positive mood of the show. Gravity & Other Myths made the fascinating as humorous and participatory as possible, getting the audience involved when they could. Midway through the show, the audience members were given plastic balls and encouraged to throw them on stage at the performers, who were attempting to hold handstands. Another instance of audience participation occurred when audience members were pulled onstage in order for acrobat Ashleigh Pearce to balance on their outstretched palms while holding half of her weight on a platform with raised metal bars that had plate-like rests on top of them. 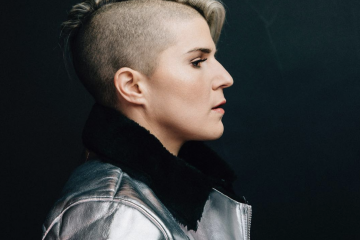 In turn with their theme of breaking down barriers between the audience and the troupe, performers were lined up in the hallway as the audience left the RecPlex, shaking hands and thanking attendees face to face. It was a refreshing, fun, and exciting night that left me in awe of what the human body can do. 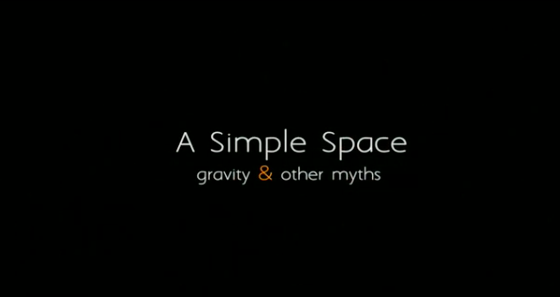 Gravity & Other Myths will be performing “A Simple Space” on Feb. 9-24 at the New Victory Theater in New York.